What Can You Eat On The Atkins Diet? All Phentermine Clinics content is medically reviewed or fact checked to ensure that it is as accurate as possible. We have strict sourcing guidelines and only link to other reputable media sites, educational institutions, and, whenever possible, peer-reviewed studies. Many low-carb diets have become popular today, offering people a way to lose weight by reducing their intake of carbohydrates. Two of the most popular options that people are opting for would definitely include the Atkins diet, as well as the Ketogenic diet. While there are some similarities in these two diets, the differences between are what sets them completely apart. The Atkins diet is often considered the more sustainable option, providing a way to effectively reduce weight without changing the way the body works over a significant period of time. This, in turn, holds fewer risks, and may still be beneficial for improving the regulation of blood sugar and imposing other possible benefits in the human body. In this article, we are going to take a closer look at the Atkins diet. We will consider what the diet is and what it entails, look at the rules that a person needs to follow when on a diet, consider the pros and cons, and also look at what foods a person can eat while they are following an Atkins diet. The Atkins diet is a type of meal plan, often considered as a guideline, first made popular by the author of the book that focused on this way of eating, Robert Atkins. In modern times, many varieties of the diet have been developed, and a large focus has been placed on commercializing the diet. This has led to many people overlooking the initial way that the diet worked. Still, many of the variations of the Atkins diet today hold the potential to assist people in reaching their weight loss goals. The original Atkins diet is now often referred to as the Atkins 20. This diet, developed by Robert Atkins, was originally divided into four different phases. Each phase gradually builds to the next phase. During the early stages of the Atkins diet, a person is requested to restrict their carbohydrate intake significantly. Weight is constantly monitored, and carb intake is slowly increased as a person moves through the four phases and as they reach closer to the ideal weight that they are aiming toward. With the Atkins diet, carb intake is restricted, and a person is usually allowed to consume fats and proteins freely. The key is to ensure all proteins and fats are obtained from healthy sources – this means understanding that there are different types of fats and not all of them are necessarily bad for the human body. One thing that a person will notice when they start to do research on the Atkins diet is that there are many similarities between this diet and the Ketogenic diet, another very popular low-carb diet. The main similarity would be the fact that both diets induce a state of ketosis in the body once glucose reserves have been used up. When the body enters a state of ketosis, it means fat is used instead of glucose as a way for cells to be provided with energy. This completely changes the way that the body generates energy. People are usually raised with the idea that carbs should play a major role in their diet – leading to a breakdown of the carbs into glucose. The glucose is transported through the body, and cells use the glucose for energy. When glucose reserves run out, the body automatically starts to search for an alternative way to generate energy. This is when fat is broken down into what is called ketones. Ketones become a replacement for glucose – they are transported through the body and then used by cells for the generation of energy. Now, this is where the difference between the Ketogenic diet and the Atkins diet also comes in. With the Ketogenic diet, a person is advised to continue restricted carbohydrate intake and keep their fat intake on the high side indefinitely – until they decide they would not like to follow the diet anymore. Additionally, the Ketogenic diet has specific guidelines to be followed. In most cases, carb intake is restricted to about 5% of the person’s daily calorie intake. Protein is then restricted to about 25%, and fat intake makes up the remaining 75%. When following the Atkins diet, the most important rule to follow is that carb intake should be limited to less than 20 grams per day during the first phase of the diet. The phase is followed until a person starts to lose weight. There are multiple goals to reach – and once the first goal is reached, often about 15 pounds from the goal weight – phase two is initiated. During phase two, carb intake is increased – usually to about 50 grams per day. As the person reaches closer to their goal, carb intake is gradually increased, until they reach the last phase of the diet – which is the lifetime maintenance phase. During this phase, carbohydrate intake is still restricted, but a person can consume up to 100 grams of carbs per day. Thus, with the Atkins diet, there are no significant restrictions in fat and protein intake, as long as carb intake is limited. The significant restriction in carb intake is also only applied during the first phase of the diet, instead of indefinitely as with the Ketogenic diet. How Effective Are Low-Carb Diets For Weight Loss? The Atkins diet is essentially a low-carb diet. Carbohydrate intake is restricted, and fats and protein intake are increased. With this in mind, it is important that we take a look at the potential benefits of low-carb diets for weight loss. Several studies have looked at how a low-carb diet weighs against a low-fat diet in terms of weight loss specifically, and the majority of these studies have provided evidence that low-carb diets tend to be superior when looking at weight loss. In one study (1), a total of 148 individuals were recruited for a study. A total of 59 participants were asked to follow a low-carb diet, while the rest were asked to follow a low-fat diet instead. The low-fat diet focused on carbohydrates as the main source of energy. Weight and several vitals were taken before the study commenced, and again at a 12-month interval. 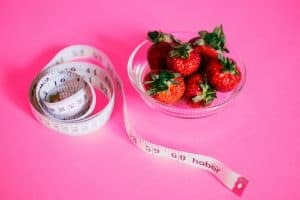 Scientists found that weight loss was much more significant among the individuals who were part of the group that followed a low-carb diet, compared to those participants who were part of the low-fat group. In addition to a low-carb diet being a potentially effective option for reducing body weight, there are other advantages that have also been associated with diets such as the Atkins diet that involve a reduction in carbohydrate intake. A more significant reduction in low-density lipoprotein cholesterol (LDL cholesterol), often referred to as the “bad” kind of cholesterol in the body. Reduced levels of total cholesterol. Improvements in high-density lipoprotein cholesterol (HDL cholesterol), which is the “good” kind of cholesterol. A significant reduction in triglyceride levels was also noted in the study. This review concluded that a low-carb diet has many advantages over low-fat diets that focus on a higher intake of carbohydrates. Does The Atkins Diet Hold Any Risks? The most significant risks associated with the Atkins diet would be present during the initial phase when the body is placed into a state of ketosis. Ketosis is known to cause a number of potential side-effects, but the majority of these side-effects tend to go away as the body transits into ketosis and starts to utilize ketones as an energy source. These side-effects are often referred to as “keto flu.” Since the Atkins diet only restricts carb intake to a level similar to the Ketogenic during the initial period, these side-effects will usually quickly resolve. When following the Atkins diet, there are several foods that can be included in a meal plan – with some creativity, and a person can easily come up with great meals. While some people may consider the diet as restricted, by exploring all options, people often discover that the diet is more flexible than they initially thought. Meat products like pork and lamb, as well as beef, chicken, and other poultry. Fatty fish varieties like trout and salmon. Shellfish and shrimp can also be included. Full-fat dairy products should be included, such as butter, heavy cream, greek yogurt, and, of course, cheese. Low-carb veggies. These include tomatoes, cauliflower, lettuce, kale, spinach, onions, and broccoli, among others. Eggs can be consumed on the Atkins diet. It should be noted that carbs should be more restricted during the first few weeks while following the Atkins diet. The above-mentioned food options can be included during these weeks. As a person progresses to the next phases of the Atkins diet, they can start to add foods that are a little higher in carbs into their diet. This would include some fruits, of course, amongst other foods options. Healthy fats should be included. This may include avocados, along with oils like olive oil and coconut oil. There are some foods that should be ideally excluded from an Atkins diet. During the initial phase, a lot of restrictions are placed on a person’s diet. All foods that are considered high in carbohydrates should be excluded, as the idea is to restrict carb intake in order to ensure the body enters a state of ketosis. Additionally, it is important to consider the type of fat and protein sources that are consumed for reaching these goals. There are both good and bad types of fats. Bad types of fats, found in highly processed foods, and fried foods, are bad fats that should not be part of the Atkins diet. Instead, healthy fat sources should be included. The Atkins diet is one of the most popular low-carb diets out there at the moment, along with the ketogenic diet. The diet has been associated with numerous health benefits and is an effective tool for people looking to lose weight, as those who would like to add healthier meals to their daily diet. The first step to following the diet is not only to understand what types of foods should be added to meals in order to experience the benefits that the Atkins diet may hold but also be acknowledged about foods that should not be part of this diet.